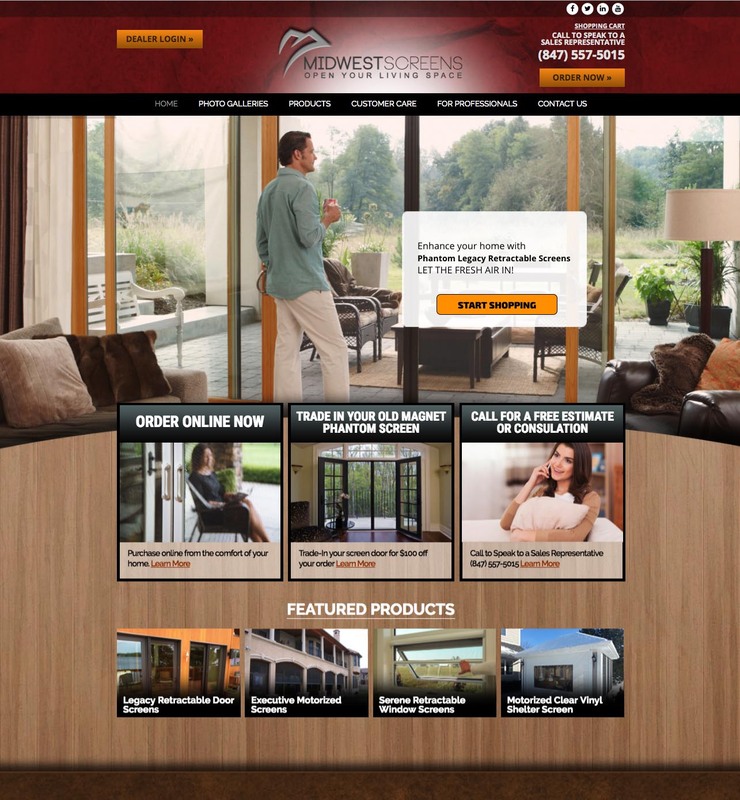 Midwest Screens old website was dark and used many textured and colored backgrounds, giving it a heavy and cluttered feeling. The shopping cart was functional but hard to find, buried within static pages. The main goal for this project was to lighten up the overall look and feel, give the content some breathing room and really let the client’s images be the showcase of the site. Also, high on the priority list was to improve the visitor’s shopping experience, making the product selection and checkout process intuitive and seamless. We started by migrating the content to a production site where we removed the existing theme, left over code and outdated plugins that were no longer needed. We installed a new customized theme and redesigned each page. WooCommerce was installed and customized to handle the eCommerce portion of the site. The new site is a breath of fresh air (the kind you get with large motorized screens). The color scheme follows the company’s new branding and the simple design allows the images to really pop. The site is responsive and looks great on all devices. Visitors can now order products online quickly and easily. WooCommerce was customized to display color choices and messaging for the variable products. Credit card processing was connected to the client’s existing merchant account.